It does show the mindset of these people who are making decisions. Any snake oil salesman can earn a pretty penny from these people as long as you act like you are saving the world. That’s why “saving the world” is bound to ruin it. ps I wonder how many would sign a petition to convert all cars and power plants to emit CO instead of CO2? 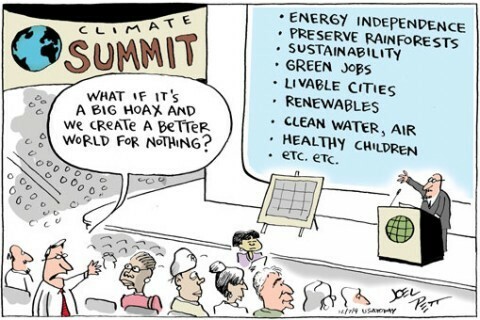 What if (C)AGW is a big hoax and we create a better world for nothing? So they were asking at COP15 in Copenhagen, Denmark in 2009. What indeed. But it’s not 2009 any longer. What have we learned? The list could continue for ever and ever. What if there is a Brave New Climate World in front of us instead? How Global is Global Warming? A very interesting slide from the “WMO Technical Conference on Meteorological and Environmental Instruments and Methods of Observation“ organized by CIMO WMO (Commission for Instruments and Methods of Observations of the World Meteorological Organization) (Brussels, Belgium, 16-18 October 2012). The slide is from “Introduction on WMO Priorities” by Wenjian Zhang, Director, Observing and Information Systems Department, WMO. It was in the second presentation for the day, after the introduction by the CIMO President. One might logically assume that Zhang’s was one the most important presentations of the whole conference. The slide shows Dr Zhang’s thoughts on the “key challenges” as “identified through widespread consultations with experts of key communities“. 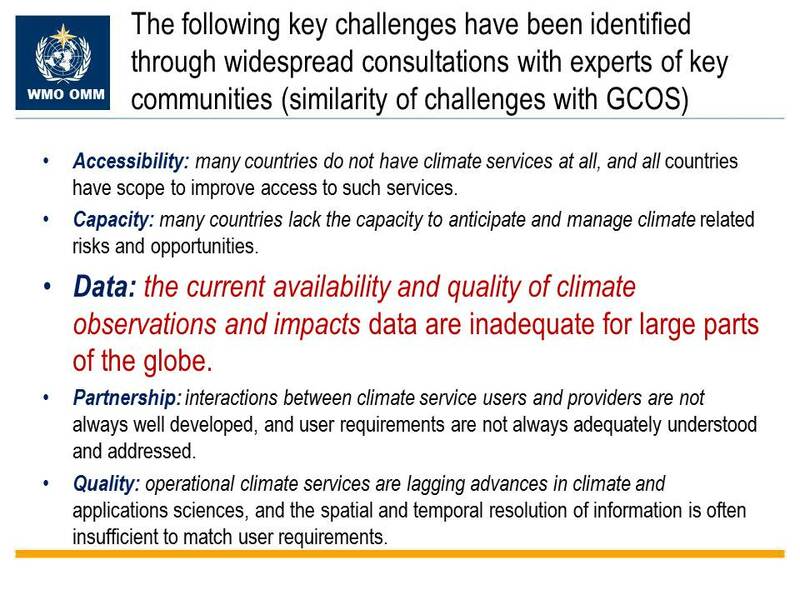 Every “key challenge” would be interesting to explore but of course the one about “Data” is particularly telling: “The current availability and quality of climate observations and impacts data are inadequate for large parts of the globe“. For all the discussions and conferences and proclamations we have been having since the IPCC AR4 in 2007, one has to wonder how little we have moved on the basics. Five years ago in fact, two thirds of the landmass was still forgotten from the WG2 chapters. And with 96% of Significant Changes coming from Europe alone, the open question was if “Global” Warming could be just European.